Denis Bourbeau, a native Vermonter, has been an active member of HBRANV since 2003. Denis immediately found value in his membership by taking part in the NAHB 20 Club, a program known for the financial benefits it provides. In 2015, Denis joined the HBRANV Board of Directors and currently serves as an active member of the Legislative Committee. As President, Denis brings his considerable experience in business management to the Association. In 2017, Denis was honored by the HBRANV as Builder of the Year. Denis is a professional builder with extensive experience and knowledge of the local market and permitting process. Established in 2001, Bourbeau Custom Homes Inc., is a family owned and operated custom home building company, constructing 15 to 20 custom, single family homes each year for generations of families within Franklin County. Denis also owns Bourbeau Real Estate. Denis is a St. Albans native and lives with his wife Leslie and enjoys family time with their grandchildren. Todd is the President and owner, with his wife Elizabeth, of Otter Creek Awnings and Vermont Custom Closets. Todd and his companies have been actively involved with the HBRANV for over 20 years. Most recently Todd served as President of the Association in 2016. 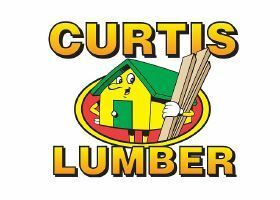 In 2011 he served as Chair of the Remodelers Council and was recognized as Associate Member of the Year in 2007. 2013 - Brad Dousevicz - Dousevicz Inc.
1996 - Frank vonTurkevich - Eastern Development Corp.